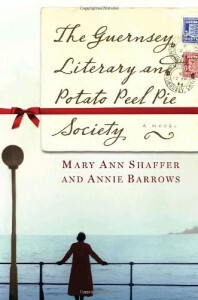 In general, I liked The Guernsey Literary and Potato Peel Pie Society. Juliet and Dawsey were likable characters and the story was well written. I actually wanted to find out the ending...which hasn't been the case with some of the books I've read or listened to lately. At times I wanted to tell at the main characters to wake up and see what I saw but I have a feeling this was done on purpose by the author...trying to make the reader want more.